Early adopter members of the Windows Insider Program get a new glimpse at Microsoft's mobile future in Windows 10 Mobile Build 10149. Build 10149 offers a number of improvements for people brave enough to install it on their devices, including a new button in the Action Center that turns on a phone’s flash so that it can be used as a flashlight. Cortana’s Notebook user interface has been finalized as well, with a combined profile and settings page. Phone shutterbugs will probably be happy with the new build, which includes support for animated GIFs in the Photos app for phones that have 1GB of RAM or more. It also supports automatic upload of photos to OneDrive, so people can easily save the images they take to Microsoft’s cloud storage service. 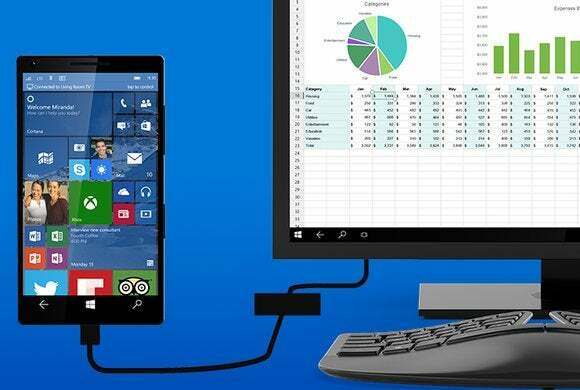 It’s a feature that wasn’t available for Windows 10 Mobile users, but that Microsoft had included in past versions of its mobile operating system. Last week, Microsoft launched build 10136 of Windows 10 Mobile, which didn’t allow direct upgrades from what was then the most recent build. In order to get the latest software, users had to downgrade to Windows Phone 8.1 and then re-install Windows 10 Mobile. Build 10149 fixes that problem and allows direct upgrades. That comes alongside other bug fixes and experience improvements, including a fix for a bug that prevented text notifications from appearing for incoming messages. As with a lot of beta software, there are also some nasty bugs in this release. Much like in Build 10136, there’s a final setup screen missing, so the phone will show the lock screen without the date and time after a device has first been updated. Microsoft Engineering General Manager Gabe Aul said in a blog post that users should let their phones sit until after the date and time appear on the screen. In addition, users who are upgrading from build 10136 may encounter an “80091007 error.” Aul said Microsoft is working on a fix, but people who encounter the error and want to get their phone on the latest build as soon as possible can downgrade to Windows Phone 8.1 and then re-enroll in preview builds using the Windows Insider app. Finally, there’s a “very rare” bug that could lock users out of their phones for hours at a time. Because of an issue with the phone’s Trusted Platform Module, you may be “unable to unlock your phone after entering your PIN and it keeps letting you type even though you entered your pin correctly.” Anyone who encounters the problem should let their phone sit for one to two hours and avoid turning it off, since that might make the problem worse and require a reflash of the phone. Overall, Aul said that the new build is “faster, more stable, and more polished overall” and that it has been in use at Microsoft for a few days. The company still hasn’t given a definitive launch date for the mobile version of its new operating system, other than to say it will be coming after the public launch of Windows 10 for PCs and tablets on July 29.